This is what we came up with. She really liked the idea of an unconventional shape (a half sheet cut into fourths and stacked high), and I liked the fact that I could slice and serve it easily. 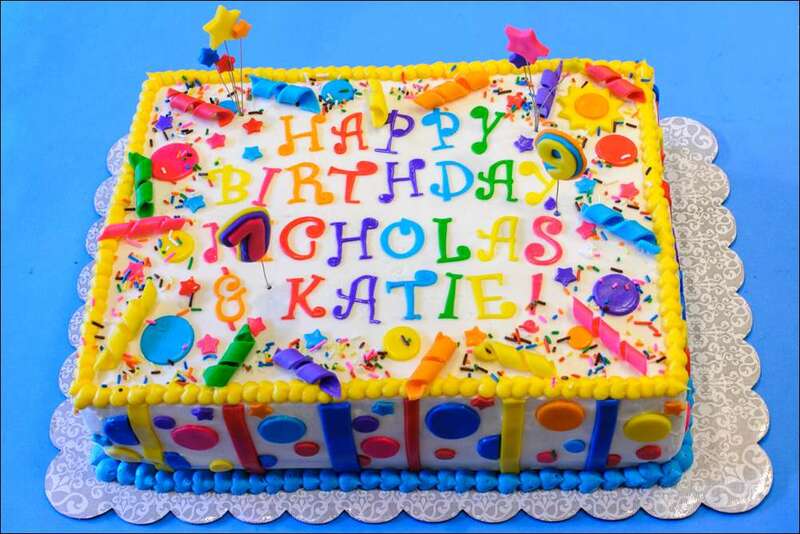 The cake was vanilla birthday cake flavor with multi-colored sprinkles folded into the batter. 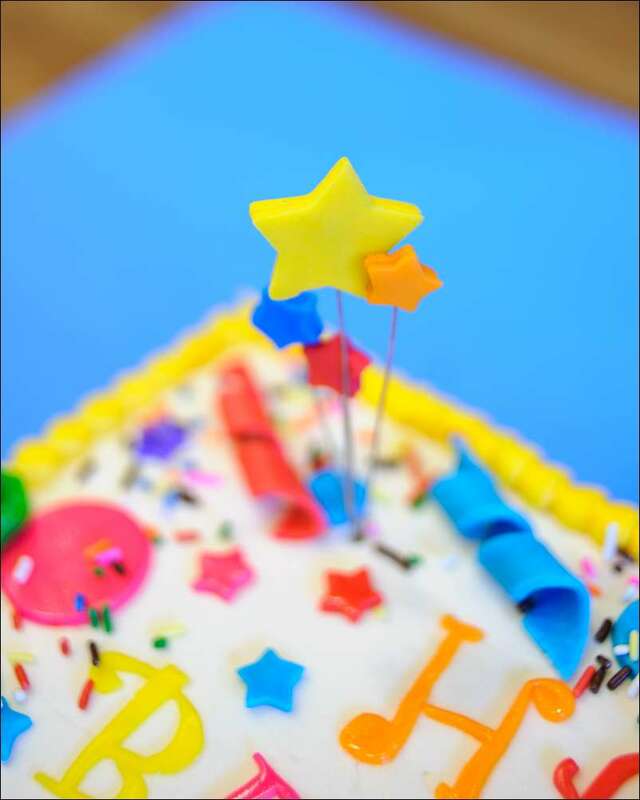 The filling was blue (her favorite color) buttercream sandwiched between each of the 4 layers. The effect of melted candles I did using melted white chocolate ganache pooled and drizzled over the edge of the cake. 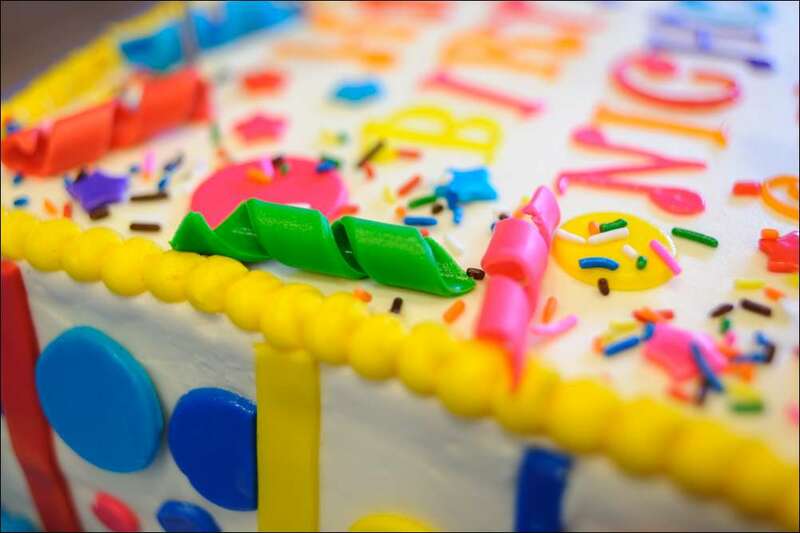 The melting ice cream cones were added to the top to give the cake some more height. Despite the obsessive planning I typically do weeks in advance for most of our birthday parties, we were able to pull this one off in 1 day with minimal effort. Most importantly, the kids all had a great time. It’s so nice to have a child who’s finally old enough to help with the decision-making and execution of her own party treats…especially one who’s always ready and willing to help. 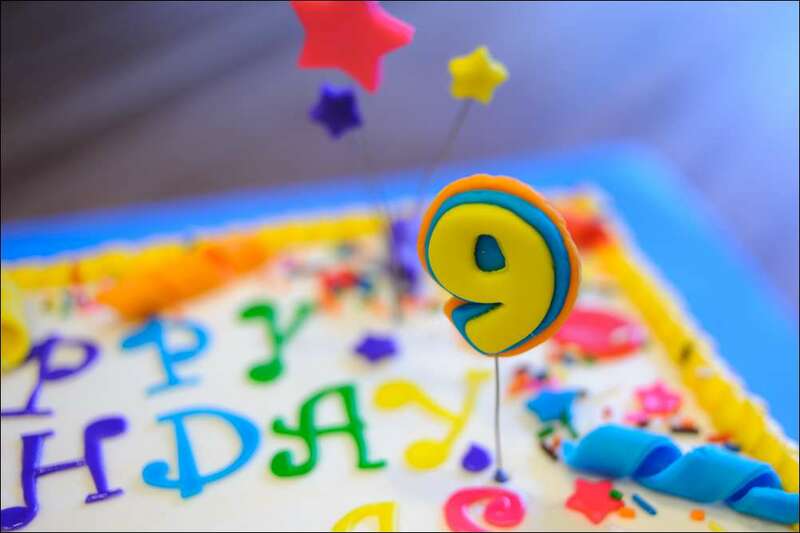 Happy 9th birthday, my darling…you really are my star and inspiration! This cake I did for a dear friend a couple of weeks ago for her brother’s 30th birthday. 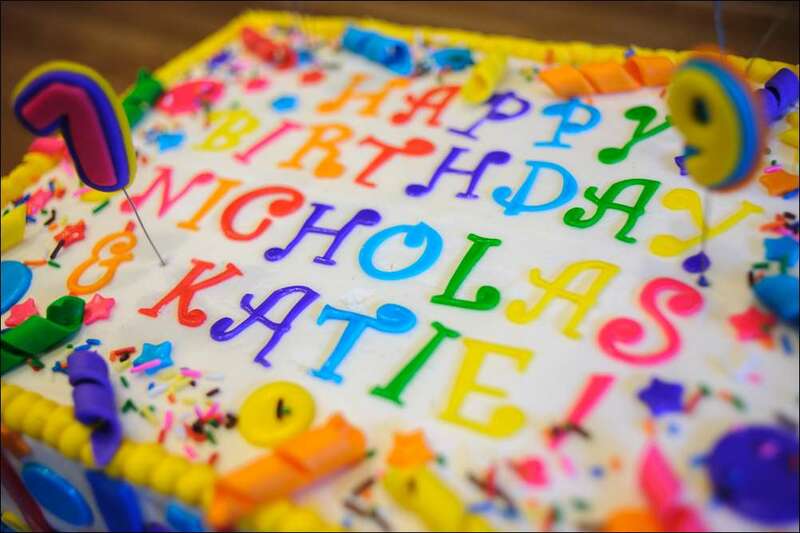 Yes, I did say “30.” My husband saw the cake and thought I’d made a mistake…”isn’t it supposed to be 3? '” Nope. 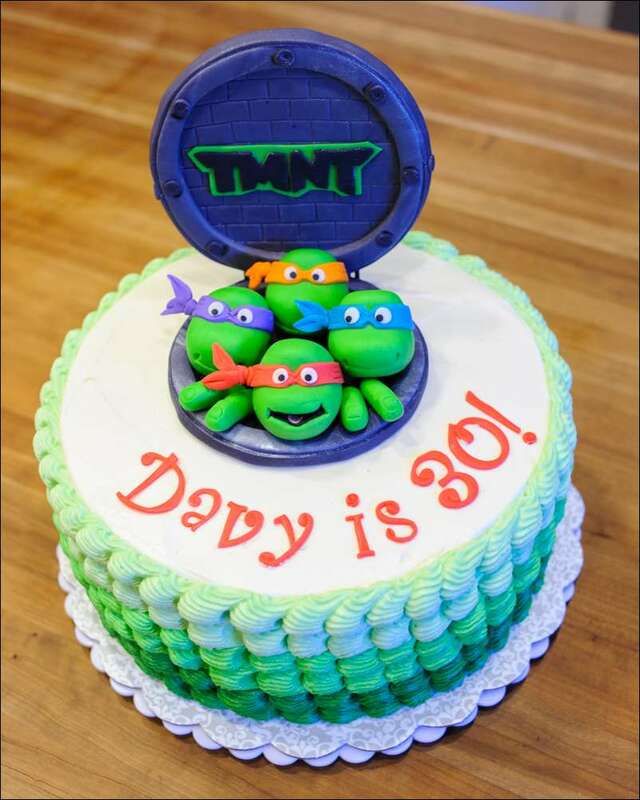 Davy was turning 30…And his sweet sis decided to surprise him with a blast from his past: the beloved Teenage Mutant Ninja Turtles! 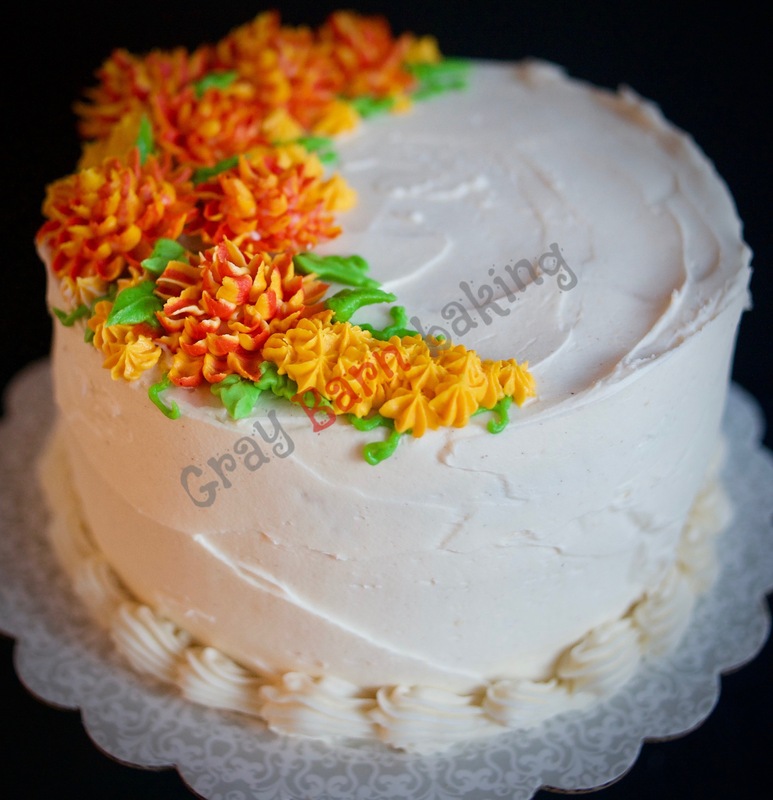 The cake is a 10-inch 2-layer vanilla bean cake with peanut butter mousse filling and frosted with creamy vanilla-bean butter cream. 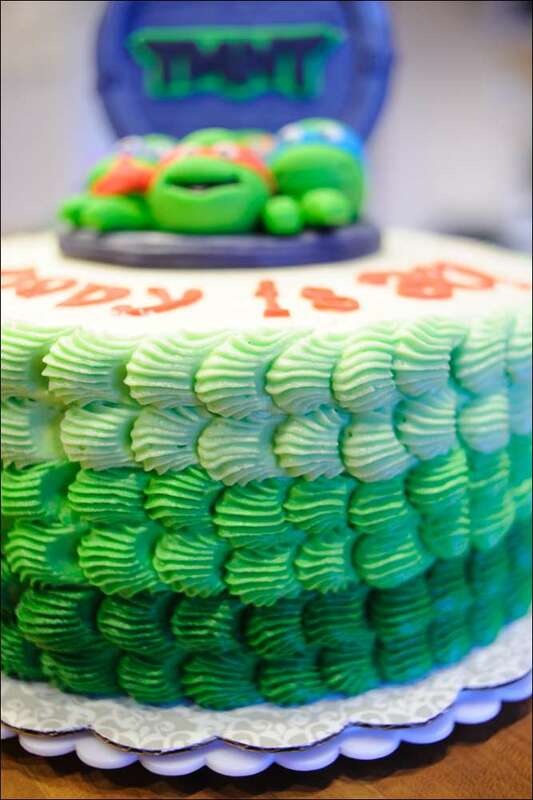 I used a large star tip to do the ombre green “puffs” around the outside of the cake, which I thought gave it a kind of “reptilian” feel. 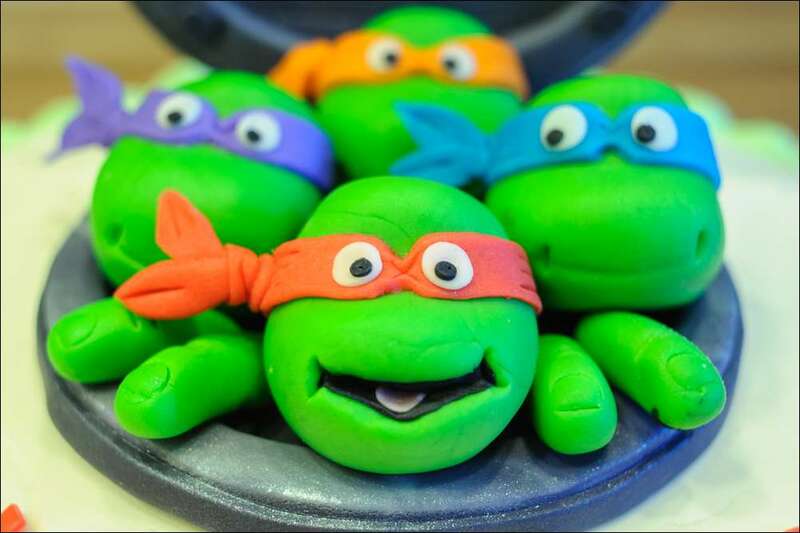 The TMNT topper is made from homemade marshmallow fondant. 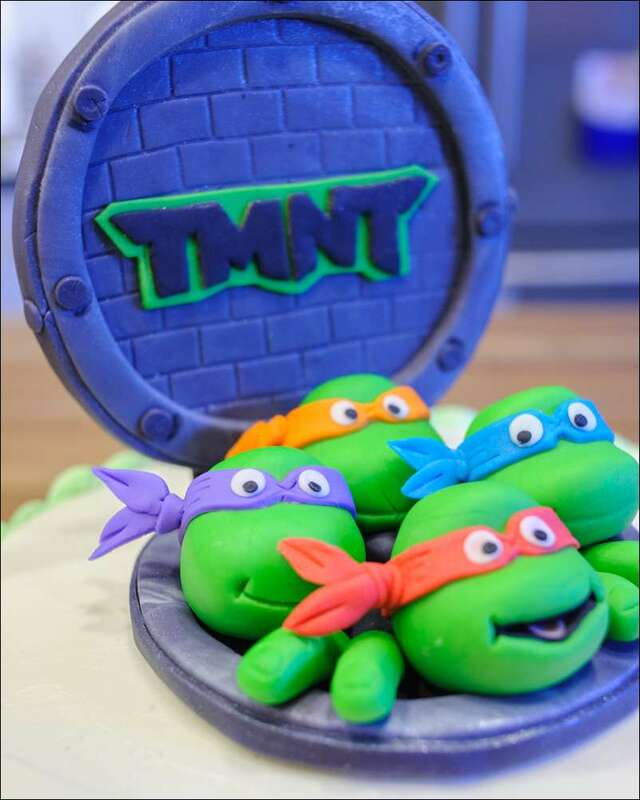 The manhole cover was made by covering a 5″ cardboard round with fondant and pressing on the brick imprints. 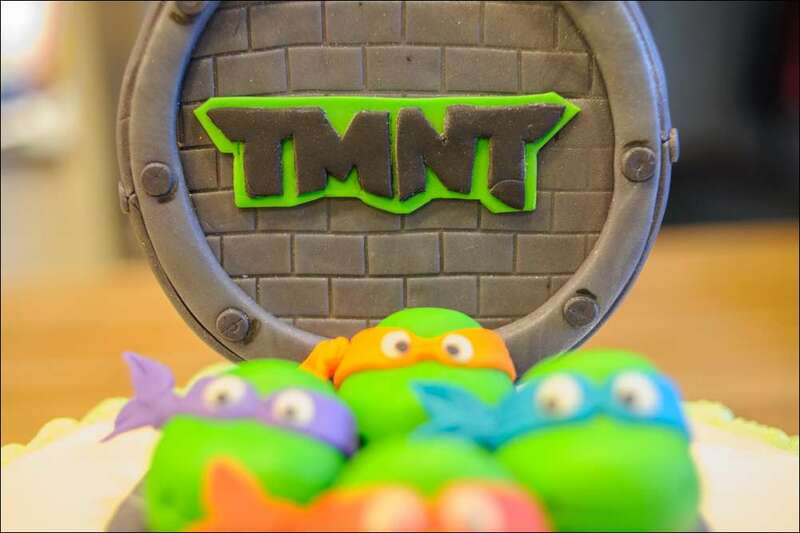 The TMNT logo I hand-cut from green and black fondant. The figures are also supported on a cardboard round in order for the topper to be lifted off in one piece before serving. The hardest part was getting the somewhat heavy manhole cover to stand up and survive transport without ripping out of the cake. This took some engineering and lots of trial and error, but I think it was successful in the end. It was a fun cake to make for a good friend! Hope you had a great birthday, Davy! !